of EscarGrow Farms Charity Anais West is owner and CEO of EscarGrow Farms in Eureka, Calif. It is one of the few escargot operations in the nation. 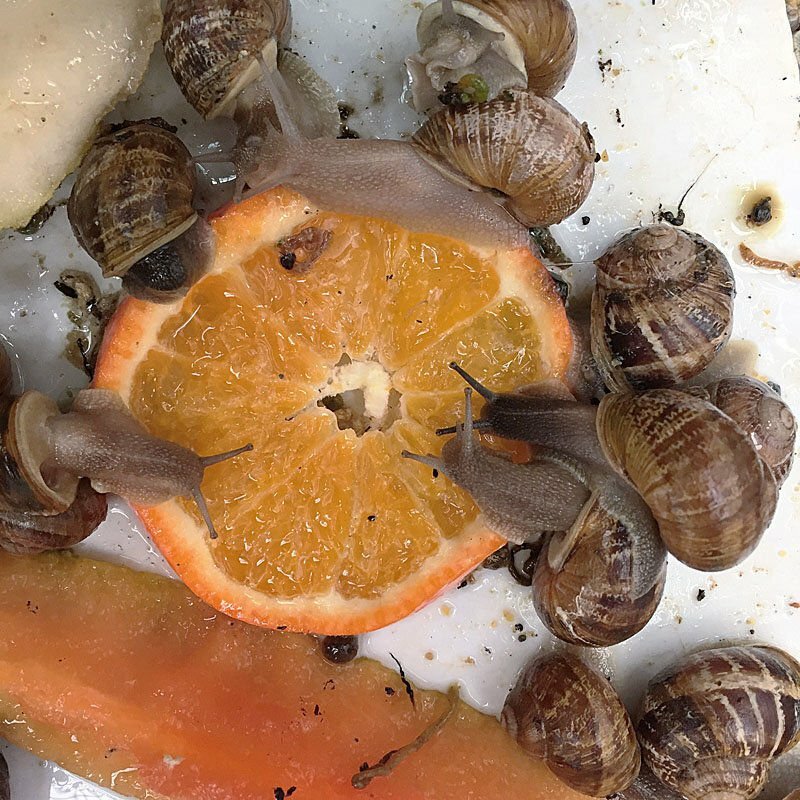 of EscarGrow Farms Snails at EscarGrow Farms in Eureka, Calif., munch on tasty meals such as greens and fruit. 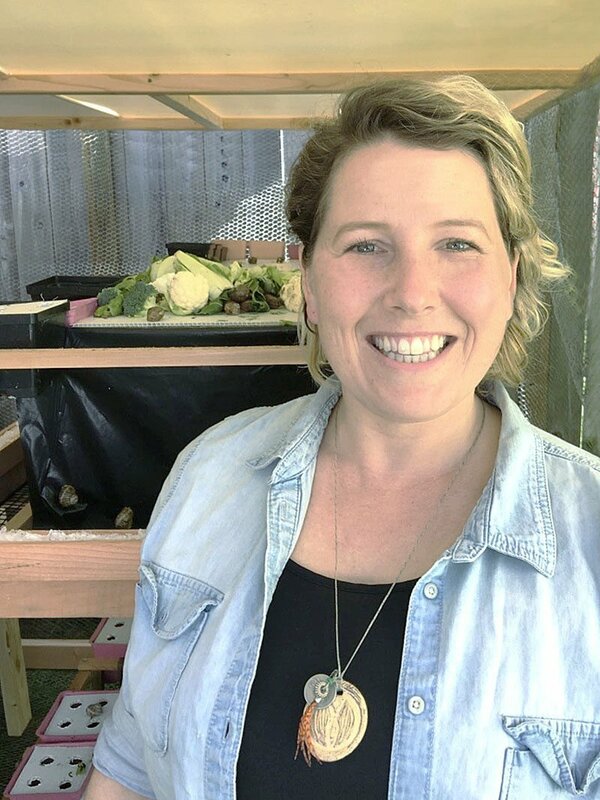 of EscarGrow Farms Charity Anais West, owner of EscarGrow Farms in Eureka, Calif., raises snails and their caviar. EUREKA, Calif. — Business is slow for entrepreneur Charity Anais West, but she isn’t surprised. She owns and operates EscarGrow Farms, one of the only snail farms in the nation. She worked as a television news producer in Santa Maria for three years and returned to Cal Poly to get a certificate in teaching English as a second language. Her plan was to travel the world. She worked at a restaurant in Paso Robles known for its wine program and fell in love with wine, moved to New Zealand for four months to work at a winery and then relocated to San Francisco. Her love for travel remained, and over the next few years she keep going back to France — Burgundy in particular — because of the incredible vineyards. “This is where the snail idea came,” she said. After several trips to Burgundy, and eating escargot for practically every meal, she said she would always return to the U.S. to another “chewy, muddy-flavored” dish of snails drowned in butter, garlic and parsley. She did a little research, read a book by Frenchman Francois Picart titled “Escargots from Your Garden to Your Table” and learned there was no sizable snail industry in the U.S.
She decided to start a snail farm. It takes about a year for them to reach market size. She raises several thousand at a time. They also get non-GMO organic cornmeal, wheat bran and crushed oyster shells that build strong snail shells,she said. She sells snails by the pound, but only in California. The company is limited by its invasive species permit and does not ship outside the state. Anais West said the operation is small now because, luckily, snails don’t take up a lot of room. She utilizes a curtain method to maximize space. “Caviar” — snail eggs — have long been a popular item at European bistros. Now they are becoming a hot item at many high-end San Francisco restaurants. Snails lay the eggs in the soil, and they have an earthy flavor, like fresh green onions. Matthew Dolan, chef at San Francisco’s 25 Lusk, said his customers are discovering the exotic delicacy. Anais West said her family and friends were not surprised when she announced she was going to start a snail farm. “I don’t think much I do anymore can surprise them,” she said. “From acquaintances and others in the industry, it’s all been quite positive. Everyone seems to think I’m onto something.